Intrinsically safe and general purpose models. High contrast display with backlight. All models accept pulse or 4/20mA input. 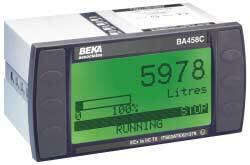 The second generation Beka flow batch controller that supercede the well established BA350B and BA550 instruments. These new controllers are ideal for accurately dispensing liquids, solids or components in either hazardous locations using an intrinsic safety barrier or in safe areas, and despite their sophisticated control functions they remain very easy to use and configure. The ATEX batch controller with carefully designed display screens, which may be annotated in English, French or German, lead the user intuitively through the configuration options. 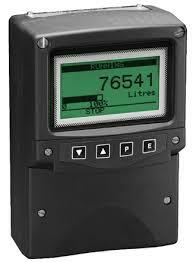 The user screen may be selected so that only essential information is presented to the operator. All models accept pulse or analogue 4/20mA inputs and incorporate a sixteen point lineariser and square root extractor making them usable with almost any flowmeter or sensor. Outputs Three galvanically isolated single pole, solid state, dc switches which may be individually configured as control or status outputs. Additional Outputs: Three additional single pole, solid state, dc switches which may be configured as control or status outputs.